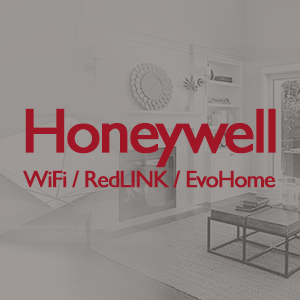 Cinegration Development’s Honeywell Total Connect Comfort Driver allows customers with Honeywell Total Connect Comfort thermostats to control their home’s climate with their Control4 system. This gives customers the freedom to manage the temperature of the home from any room or while away. Keep the home cool in the summer and warm in the winter to the exact specified degree and schedule when the temperature changes throughout the day. No additional hardware is required to experience the complete customization that Control4 now allows for your Honeywell Total Connect Comfort thermostats! This driver ONLY works with Honeywell Total Connect Comfort thermostats. This driver will not work with other Honeywell thermostat models. This driver can be used to control Honeywell Total Connect Comfort thermostats via a smartphone, tablet, or touchscreen in the Control4 app. Which thermostats does this driver support? The Honeywell TCC Driver supports all Honeywell Total Connect Comfort thermostats. Does this driver work with all Honeywell thermostats? No. The Honeywell TCC driver only works with Honeywell Total Connect Comfort thermostats. This driver does not work with Honeywell Lyric thermostats. Currently, scheduling can be done in the Honeywell Thermostat and Composer – the ability to schedule in the Control4 app is coming! This unit is controlled via the cloud through the Total Connect Comfort username used when setting up the thermostat. Where do I register my Honeywell TCC Hardware? • Setup your Honeywell thermostat with the Honeywell Total Connect Comfort iOS or Android app and verify functionality prior to integrating. • Add Honeywell TCC (Total Connect Comfort) Gateway and Honeywell TCC (Total Connect Comfort) thermostats to project. • Enter your Honeywell Total Connect Comfort www.mytotalconnectcomfort.com, Email address and password in the properties field within composer. • Once the gateway driver has successfully found your Honeywell thermostats you must navigate to the composer connections tab for your Honeywell gateway. • Make bindings between the Honeywell Gateway driver and the individual Honeywell thermostat drivers. • After you have made all of your bindings, perform a refresh navigators. • Create your project in the DriverCentral.io project portal. This will generate your project token. • Download and load the DriverCentral.io cloud driver into your project, you only need one per a project. • Use your project token that you have from step one and input it into the “Project Token” properties field within the cloud driver in your Control4 project. • Once you have your project connected with DriverCentral.io your driver will be automatically licensed and auto update will be active. 1005 (7.20.2018) - Fixed european schedule setpoint bug. - Fixed HVAC mode return bug. 1006 (7.24.2018) - Fixed error when thermostat was in error state. 1008 (10.24.2018) - Fixed bug with honeywell tcc region. 1010 (03.29.2019) - Fixed issue with changing HVAC mode.